As we previously reported, mental health has been making the headlines, with a new Taskforce report out, and the Government promising to spend £1 billion extra a year on mental health by 2020 (although, how much of this is newly pledged money is unclear). It’s easy to forget the day-to-day realities of mental healthcare, but a new BBC initiative launched last week – #inthemind – puts it all into perspective. #inthemind is a series of documentaries, news items, and drama selected by and broadcast on the BBC. Given that a quarter of people in England experience a mental health problem each year, it’s great to see the BBC focussing on something that will affect many of us, in some way, over the course of our lives. Cool. What’s there to see? One documentary really stands out. 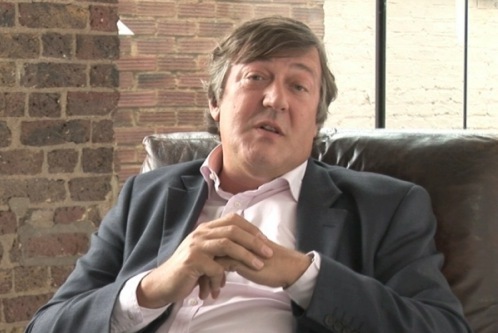 A decade after comedian and writer Stephen Fry’s Emmy-award winning documentary series “The Not So Secret Life of the Manic Depressive”, comes a new film: “10 Years On”. Fry speaks candidly about his suicide attempt in 2012, and how, last year, the suicide of Robin Williams affected Fry’s understanding of his own condition. The film also follows a few members of the public living with mental health issues. There is Cordelia, a lively and passionate writer who has bipolar disorder and is also battling breast and lung cancer. Cordelia says that the mental anguish she experiences as part of her bipolar disorder is “quite, quite different” from other illnesses and “worse than anything”. We also meet Alika, a young London musician, whose first brush with bipolar disorder happened on the tube. He was secretly filmed and the footage was uploaded to Youtube. Within a day, it had been seen by over 2 million people. Alika received angry and racist comments which drove him near to suicide. What’s inspiring about the film is that these individuals are sharing their powerful stories to improve our understanding of mental health issues. Alika, for example, now advocates for greater mental health awareness. Also well worth a watch are the documentary films “Professor Green: Suicide and Me”, in which rapper Professor Green goes through a very personal exploration of his father’s suicide, and “My Baby, Psychosis, and Me”, which follows two new mums dealing with a severe mental illness that affects thousands of women after childbirth. Sounds like fascinating viewing, but what does all this have to do with human rights? Human rights ensure that people are treated with dignity. Human rights hold the authorities to account when they fail vulnerable people, including those with mental health issues. When one woman’s son died while in an intensive support unit for voluntary patients, for instance, she used human rights to fight for justice. Although suicide rates have increased generally, suicide has declined amongst inpatients in mental hospitals due to better safety precautions. The Human Rights Act has been pivotal in improving these precautions, as a result of cases like that of Melanie Rabone. Thanks to human rights, it is not up to people kept in mental hospitals to prove they are of ‘sound mind’ in order to be released. The authorities have to prove they should continue to be detained. And, at a time when the NHS is undergoing transformation, and private companies are increasingly being used to provide public care, human rights also make sure that such companies are held to the same standards as public authorities. The mental health Taskforce report acknowledged how greater emphasis on human rights has really helped in the transformation of mental healthcare over the last 50 years. So human rights have really helped, but there’s more to do. The Taskforce report also looked at issue of inequality in mental healthcare treatment. The findings are quite troubling. For example, the report found that children from the lowest income families are three times more likely to develop mental health issues than those from the highest earning families. There is also an over-representation of black, Asian and minority ethnic people amongst those detained in mental hospitals, potentially indicating a lack of access to preventative services for these groups. It’s a sad state of affairs, but human rights are here to help ensure that everyone has equal access to healthcare services. Mental health is a complex topic, affecting different people in different ways. But through this impressive series of programming, the BBC’s #inthemind is helping to improve our understanding of mental illness. The documentaries discussed above are available for a short time on BBC iPlayer. You can watch them here: “The Not So Secret Life of the Manic Depressive: 10 Years On”; “Professor Green: Suicide and Me”; “My Baby, Psychosis and Me”. And don’t forget to take a look here for some of our stories on how human rights have helped people dealing with mental health issues.